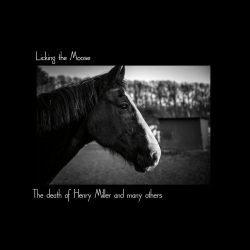 ‘The Death of Henry Miller and Many Others’ is the latest album from Norwegian Americana band Licking the Moose. Their first since 2009, it is a collection of confidently written and performed songs that could be held up as a primer for fledgling musicians. Their style is varied and polished. Think of a type of country music and you’ll find it here. Piano ballad, Elvis rockabilly, country swing and songs that should be the theme tune for the next series of ‘True Detective’ sit together like old friends. They feel genuine though. Even on first hearing, these songs feel like old familiar tunes. This is something borrowed and something blue but never a cliché and never a pastiche. The band describe their interests as “drinking barley wine blues and playing broken songs of loneliness.” Their influences include “fairy tales and loneliness” and the musician credits include beards and boots alongside the more traditional tools of the trade. This illustrates how a band can be more than a band. This is much about attitude and approach as anything else. A cohesive whole that is a celebration of all things country. But let’s be clear; this wouldn’t work without great songs and Licking the Moose have the tunes to carry it off. This is sad, lonely and above all, enjoyable music. There is a sense of history and clear influences here but building on the past is different to repeating the past. ‘The Death of Henry Miller and Many Others’ is something new, built on something old that you’ll love. A great album from start to finish.